This boat is a 2007 with 4 years left on the warranty. The boat has very few hours of run time. It is in excellant condition. 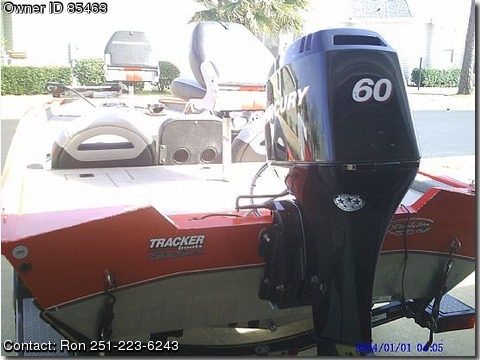 18 ft. long with 60 HP Mercury motor, coastal eddition, cooler, 2 live wells, built in battery charger, 2 batteries, trolling motor and single axel trailor.